As a Food & Beverage Distribution business, you are dealing with a wide range of clientele in your industry. You want to keep your business clients coming back by expediting their orders with efficiency and in a timely manner. As a supplier to their bustling restaurant and food & beverage retail businesses as well as local food & beverage distributors, you want to ensure you are delivering the best in quality, service and reliability. And you may also want to track the lot numbers for the products you receive as well as where they are being shipped to. HOW CAN ONEIR SOLUTIONS HELP MY FOOD & BEVERAGE DISTRIBUTION BUSINESS? Tracking abilities are of the utmost importance, whether it is of your inventory and their lot numbers, sales or customers. You need to have tight control on all these aspects in order to maintain the efficiency of your wholesale distribution business and ensure your success in the challenging business to business market. Even your “on-the-road” sales reps can have immediate access when making remote sales! To provide the easiest access for ordering, Food Distribution companies can offer phone, fax and email ordering. With Oneir Solutions, you can easily interface with the e-Commerce web store and EDI ordering. Sales reps on the road can place orders directly from their customer’s location, email a confirmation to the customer and have the pick slip printed at the warehouse for picking, packing and shipping. This is customer service at its ultimate. 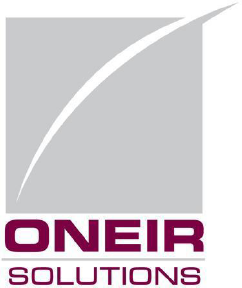 To assist with the ordering process, always remember Oneir Solutions customizable “Order Guide”. “Drop-in” customer ordering can be accommodated and speed through the check out using Oneir Solutions’ Point of Sale. This is truly “Multi-Channel Selling” at its best! With Oneir Solutions, you will have a handle on what stock is not moving and what items need to be in your warehouse at all times to keep your customers coming back! Track items purchased by each customer and the specifications of these items, such as batch, expiry date, etc. Then integrate these selling solutions with Inventory Control, Customer Relationship Management, and Accounts Receivable, Accounts Payable and General Ledger for Financial Control and your business safeguards. Combine the benefits of the Purchase Ordering option for Materials Requirements Planning, Bank (Debit and Credit) Card Authorization and Payroll. Then there is the Bill of Materials Manufacturing facility for Food Processors. Now you can have one powerful fully integrated software solution…and there is much more. For those companies that process some or all of the food products they sell, you have the added challenge of tracking the goods that you are manufacturing for costing and quality reporting. Establish menus with detailed processing instructions, including Hazard Analysis Critical Control Point (HACCP) reference documentation for the product, stages for testing and possibly the critical max/min values. ONEIR Solutions Inventory & Accounting ERP software for food & beverage distribution business is designed to give you that strategic competitive advantage and control recalls. Contact us at 1.877.322.3580 or visit our online form to get more information on our food & beverage distribution business software. If you are a Food Processing and Wholesale Distribution business that is “bursting at the seams” and is expanding into more locations, Oneir Solutions is designed to make your dreams reality. The reality of the day is that food producers must not only maintain a strong defense against recalls, but also against increasing regulations, food sensitivities in the population, environmental consciousness and PETA agendas.